I first read about the new Dr. John record in Rolling Stone a few months back. I’ve always been a fan of Mac Rebennack (aka Dr. John), so I was intrigued. Rebennack has been on the scene since the late 60s, and with over 20 albums under his belt his influence is widespread. With Dan Auerbach of the Black Keys producing, I knew it was going to be interesting. Then NPR Music streamed the first single from the album, “Bigshot”. Rolling Stone streamed “Revolution” soon after. Both these songs opened my ears to what an Auerbach/Rebennack pairing could produce. All of this got me pretty excited about the album. Fortune had it that my copy arrived at lunch on a sunny, early spring afternoon. I took it for a spin in the car, listening to the first half of the record on my way back to the office. It was swampy, funky, and gritty, and it rocked. 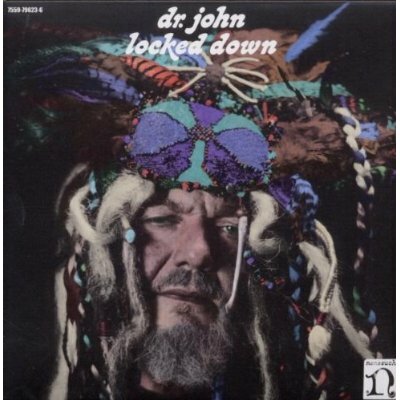 It’s the most rock and roll album I’ve heard from Dr. John. Auerbach’s music nerd sensibility combined with Dr. John’s New Orleans gumbo makes for an amazing listen. You can get a sense of why by checking out the promo video for the album, “Dr. John – Locked Down [Teaser].” It shows Rebennack in the studio, working with Auerbach and the rest of the band at the heart of Locked Down – another guitar player, Ben Olive, plus a drummer and a bass player. Just a small, tight band working closely together in a small studio environment. Bringing a brilliant batch of Dr. John songs to life in a way that I haven’t heard before. I don’t think the rock and roll edge to the record would be there if Dan Auerbach didn’t produce the record, and if he didn’t have Rebennack’s complete trust. It’s an example of how a great producer can really help pull great musical ideas out of the artist and present the artist’s work in a fresh and vital way. Rebennack is playing vintage equipment throughout – real, old school electric pianos and organs. You can hear an electric piano power “Getaway”, a big rocker with a huge guitar solo in the middle of the album. “Kingdom of Izzness” has a Farfisa combo organ. The band steps through a range of other genres, too. “Ice Age” starts with an Afrobeat guitar riff, and keeps the theme going through the song. “Eleggua” is straight up Funkadelic-style funk with a hint of that voodoo flair you hear in early Dr. John material. “God’s Sure Good” is a big, joyous gospel tune that ends the album, a sort of thank you from Dr. John for the good fortune he has had as a musician and songwriter. So when I first started reviewing albums for Glorious Noise, I asked myself, what would constitute a perfect rating of five out of five stars for a record? I decided that the first criteria for me would be that each song on the album must be good, meaning that it could stand up under repeated listening and still remain enjoyable. And some of them would have to be great – songs that somehow just got better after repeated listenings, and beg to be played loudly. The second criteria is that the album has to retain that luster over time. If it’s five star worthy, it can’t sound dated in five years. Which means any brand new album isn’t going to attain five star status from me upon initial release. But Locked Down does meet the first criterion. All the songs are good, and a whole bunch of them are great. I can’t say if it will stand the test of time and move from four to five, but I can say this: Locked Down will be getting a lot of airplay in my car and at my barbecues this summer. I think you’ll like it. This is a great album. Well worth buying.